A large cause of morbidity in dialysis patients are central and peripheral fractures. We have had many pharmacological interventions that have addressed the bone disorders in dialysis patients in the last 3 decades namely: vitamin D analogs, cinacalcet, phosphate binders and better forms of dialysis. 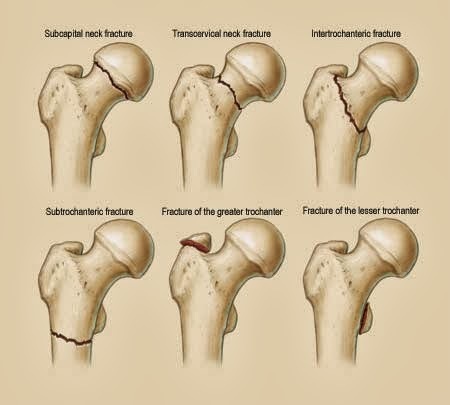 Have our changes made an impact on fractures? A recent study in NDT that we studied looked at the USRDS data at the fracture rate per 1000 person years from 1992- 2009 and analyzed it for any specific findings regarding age, gender and race. 1. From 1992 to 2004, central fracture rates increased from 12.5 to 25.3 per 1,000 person-years. 2.After 2004 fracture rates stabilized but did not decline( significant p value), indicating a significant increase in central fracture rates. 3. Fracture rates were approximately twice as great in women compared to men. 4. With stratification by age and race, the rise in bone fractures occurred almost exclusively in white patients older than age 65, with 22.7 fractures per 1,000 person-years in 1992 to 48.4 fractures per 1,000 person-years in 2004. Central fracture rates have increased significantly from 1992 to 2004, mostly in white, elderly dialysis patients and despite the availability of new treatments and guidelines. Untreated loss of bone volume and density in dialysis patients may contribute to our findings. 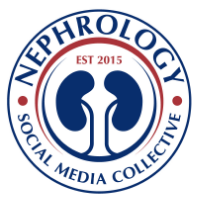 Interestingly, seems like there is a surge of interest in this topic in the renal literature in 2013. Besides this study, a recent study in AJKD looked at the same cohort of patients. Their results were similar and that showed temporal trends in hip fracture rates among medicare hemodialysis patients differ markedly from the steadily decreasing trend in non-ESRD Medicare beneficiaries, showing a relatively rapid increase until 2004 and relatively rapid decrease thereafter. The conclusion was that perhaps the advent of cinacalcet may have created that decline. Hard to say that for sure given our findings and the decline is there but not significant. Some fractures in dialysis patients have been associated with low vitamin D levels, low PTH levels, and low bone mass. 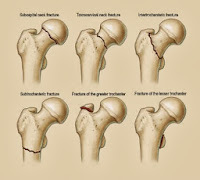 A paper in JASN this year also looked at the medicare USRDS data set and found pelvis/hip fractures declined slightly from 29.6 to 20.6 per 1000 patient-years between early 2000 and late 2009, but the incidence rates for all other fracture types remained relatively constant. Fractures in the dialysis population are common and are associated with a substantially increased risk for death and hospitalization. Again, similar study in CJASN. What about mortality? Interestingly also this year in Kidney International, the DOPPS cohort was looked at. In all countries, fracture rates were higher in ESRD patients. Fracture patients had higher unadjusted rates of death (over 3 fold higher) and death/re-hospitalization (4.0-fold) compared to the overall DOPPS population. Mortality and hospitalization rates were highest in the first month after the fracture and declined thereafter. A “one size fits all” treatment paradigm for bone disease may be harmful to some dialysis patients. Further study would be beneficial as osteoporosis and adynamic bone disease remain important occult problems in dialysis patients. At least we know now that the older white females are the highest risk of fractures on dialysis.